Of late, Wells Banksters Fargo has not been active. Until this changes, this website is in archive mode. Feel free to peruse the website, but please don’t expect a rapid response by filling out any of the forms or contacting Wells Banksters Fargo. 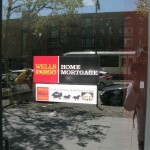 A U.S. Department of Justice press release announced the second-largest discriminatory lending settlement in history in which Wells Fargo paid $234.3 million for its policies and practices that resulted in African-American and Hispanic borrowers paying more for credit than white borrowers with the same creditworthiness. Based on a referral due to investigations by the U.S. Office of the Comptroller of the Currency, the U.S. Department of Justice initiated its own investigation resulting in a legal Complaint in the case entitled United States of America, Plaintiff, v. Wells Fargo Bank, NA, Defendant, filed in the United States District Court for the District of Columbia (case #1:12-cv-01150) detailing violations of the Fair Housing Act and the Equal Credit Opportunity Act. The Complaint describes a pattern of discriminatory lending against 34,000 African-American and Hispanic borrowers that took place from 2004 to 2009 due to specific mortgage lending broker incentive policies of Wells Fargo and a failure of Wells Fargo executives to modify these policies to correct discriminatory lending despite having the data necessary to do so. 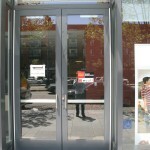 The Complaint reports that between 2004 and 2008, among “highly qualified prime retail and wholesale applicants”, Wells Fargo’s African-American borrowers were more than four times as likely as white borrowers to receive a subprime loan and Wells Fargo’s Hispanic borrowers were more than three times as likely as white borrowers to receive a subprime loan. The Complaint also reports that Wells Fargo created financial incentives for its employees and mortgage brokers to sign subprime loans over less profitable prime loans. 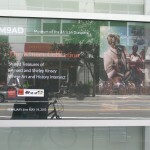 Wells Fargo was aware that many recipients of adjustable rate mortgage (ARM) subprime loans, such as the “2/28” loans, “qualified for more standard loans, such as 30-year fixed rate loans or less risky ARMs with more favorable rates that did not carry pre-payment penalties.” Even among subprime borrowers, African-American and Hispanic borrowers paid substantially more in broker fees than white borrowers paid. Wells Fargo’s discriminatory lending took place in at least 82 geographic markets across at least 36 states and the District of Columbia. Putting African-American and Hispanic families into subprime loans rather than prime loans rendered them much more vulnerable to economic burdens that resulted in delinquency or foreclosure. As a result of the U.S. Department of Justice Complaint, Wells Fargo signed a court-supervised Consent Order in the case entitled United States of America, Plaintiff, v. Wells Fargo Bank, NA, Defendant, filed in the United States District Court for the District of Columbia (case #1:12-cv-01150). The Consent Order provided that, although “there has been no factual finding or adjudication with respect to any matter alleged by the United States,” the following provisions of the Consent Order were to be implemented: A) General Nondiscrimination Injunction, B) Lending Policies and Procedures, C) Monitoring Program, D) Borrower Disclosures, E) Equal Credit Opportunity Training Program, F) Satisfaction of United States’ Claims for Monetary Relief, G) Borrower Assistance, and H) Internal Review Process Regarding Nonprime Loans from Wells Fargo’s Retail Division. 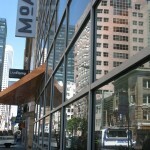 Section F of the Consent Order required Wells Fargo to deposit $125 million into an escrow account “to compensate for alleged monetary damages aggrieved persons nationwide who obtained a loan through Wells Fargo’s wholesale channel may have suffered as a result of the alleged violations of the FHA and ECOA. 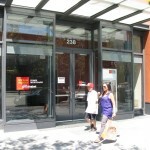 Wells Fargo provided the information necessary to identify beneficiaries of the compensation. Wells Fargo hired a Settlement Administrator company as part of the Consent Order provisions to locate beneficiaries of the settlement and provide the appropriate compensation to each beneficiary. Under the Consent Order, no beneficiary could receive compensation without signing a Release releasing Wells Fargo from any further claims of housing or credit discrimination. 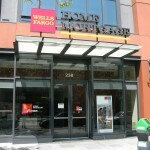 Any undistributed funds from Section F were to be allocated to the Wells Fargo Borrower Assistance program established by Section G of the Consent Order, or if that program is no longer operational, to qualified nonprofit organizations providing services in the area of credit and housing counseling, legal representation for borrowers seeking loan modifications or preventing foreclosure, financial literacy. Section G of the Consent Order required Wells Fargo to set up a new homebuyer assistance program in eight metropolitan locations, to provide grants not exceeding $15,000 in the form of a 0% loan, 20% of which is forgivable each year for five years, for the purpose of downpayments, closing costs, or renovations under the FHA 203k program. Section G also provides that Wells Fargo must provide targeted marketing about the homebuyer assistance program in census tracts that are greater than 40% African-American or Hispanic and in census tracts with average income levels at or below 120% of area median income. The targeted marketing should include at least one event in the year following the effective date of the Consent Order. Section H of the Consent Order required Wells Fargo to undertake an internal review “to determine whether there exist African-American and/or Hispanic borrowers who received nonprime Wells Fargo loans from Wells Fargo’s retail channel who… arguably might have qualified for prime loans….” Wells Fargo agreed to provide cash rebates to those borrowers in the same amount as those borrowers who received nonprime loans from Wells Fargo’s wholesale division provided the borrowers sign a Release releasing Wells Fargo from any further claims of housing or credit discrimination. A Notice of Additional Monetary Relief in the case entitled United States of America, Plaintiff, v. Wells Fargo Bank, NA, Defendant, filed in the United States District Court for the District of Columbia (case #1:12-cv-01150), explains that Wells Fargo itself conducted the review provided by Section H of the Consent Order and “identified 3,990 African-American and/or Hispanic retail nonprime borrowers eligible for cash rebates in an amount commensurate with the amounts paid to borrowers who received nonprime Wells Fargo loans from Wells Fargo’s wholesale division.” The amounts averaged $14,850 per borrower or a total of $59,251,500, which brought the settlement total to at least $234.3 million. 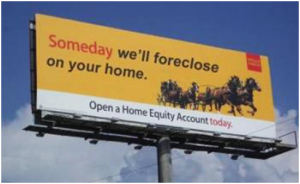 On April 25, 2013, Epiq started mailing out settlement letters and the releases required for obtaining settlement amounts to the African-American and Hispanic borrowers who experienced Wells Fargo’s mortgage loan discrimination. Last year thousands of us marched on Wells Fargo and protested their abusive, discriminatory, often illegal lending practices. This year, Wells Fargo has decided to “run for the hills”, moving their annual meeting to Salt Lake City, in an effort to hide from their customers and community. But we’re not going to let them. Homeowners are traveling to Salt Lake City and demonstrating here in California to let CEO John Stumpf know that he will be held accountable. Wells Fargo had its most profitable year ever in 2012, while they’ve sent the rest of us deeper and deeper into debt. Enough is enough! Homeowners and students are coming together to call for a DEBT JUBILEE – it’s time for the big banks to renegotiate the unfair debt that is crippling our current recovery and our future stability. 1. WEAR BLACK to the Solidarity Action and Memorial Service for Home Security at Wells Fargo Headquarters in San Francisco on Tuesday, April 23 at 11am: Click here to sign up for the event on facebook or here to RSVP directly. 2. Sponsor a Home Defenders trip to Salt Lake City: We have dozens of Home Defenders ready to chase Wells Fargo all the way to Salt Lake City, but we need $2300 more to pay for their travel and lodging. Click here to help sponsor a Home Defender’s trip. 3. Come with us to Salt Lake City: Sign up here to get more info. Over the last month alone, we have released a study showing the impact of Wells Fargo’s foreclosure pipeline, confronted John Stumpf at a bankers conference and staged direct actions around the state. Wells Fargo is running away, but with your help they won’t get away with what they have done to our communities. Click here to sponsor a Home Defender’s trip to Salt Lake City. 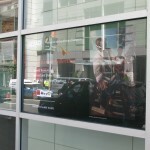 Check out these photos of recent Wells Banksters Fargo sticker sightings. 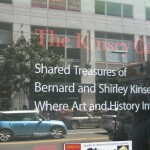 If you have some cool pix to post on this website, please upload the pix using this form (coming soon…). 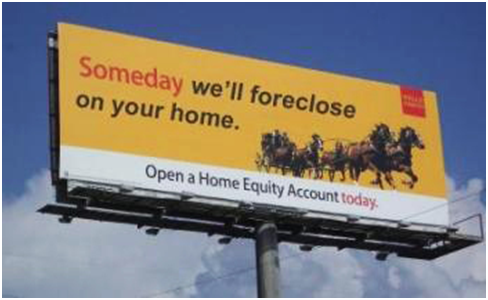 On July 12, 2012, the U.S. Department of Justice filed the second largest fair lending settlement in the department’s history to resolve allegations that Wells Fargo Bank, the largest residential home mortgage originator in the United States, engaged in a pattern or practice of discrimination against qualified African-American and Hispanic borrowers in its mortgage lending from 2004 through 2009. “On the morning of Dec. 19, 2012, in a Torrance courtroom, Larry Delassus’ heart stopped as he watched his attorney argue his negligence and discrimination case against banking behemoth Wells Fargo. “Justin Turner made a last stand at his Norwood home Saturday, but after seven hours of negotiating with police and SWAT, and several doses of tear gas, pepper spray and “flash bang” concussive grenades, the 30-year-old shot himself to death rather than leave his home, which was under foreclosure…” by Wells Fargo. Update: Here’s a video of Oriane Rousseau making an appeal to pass the California Homeowner Bill of Rights… and charging Wells Fargo for the blood on their hands. Occupy Oakland reported on May 14, 2012, that, after bilking a family out of a home they tried to make payments on, Wells Fargo is apparently going ahead with plans to evict a mother, Oriane Rousseau, and her child from their home in Ventura today, despite her husband’s suicide over the home situation the day before yesterday. Wells Fargo invests in coal / mountain top removal, tar sands, oil, (un)natural gas, cluster munitions, nuclear energy and nuclear weapons, and has the audacity to call dangerous nuclear power an “alternative energy”.